I've been to London 5 times this year and I'll be visiting again next week. 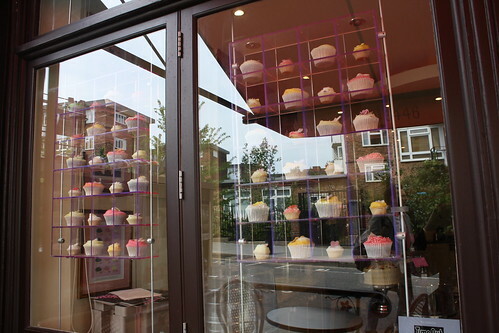 Every time I have been there I've had the yummiest cupcakes! Even Sainsbury's local near our hotel sold sweet little pink ones for £1! Unfortunately I probably won't have time for any next week. 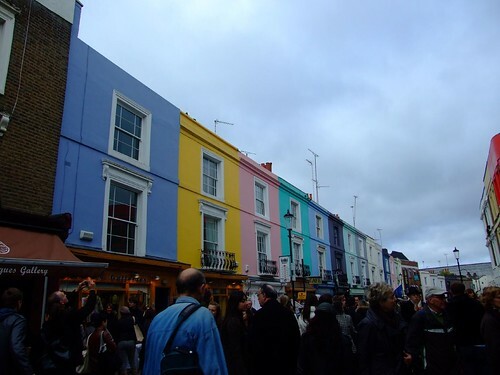 A friend and I are flying over there to see Tori Amos, and the tickets for the show are only given out (free) on the day so we are queuing all night on Oxford Street for them! There will be a whole group of us so hopefully we can send each other for hot chocolates to keep warm. 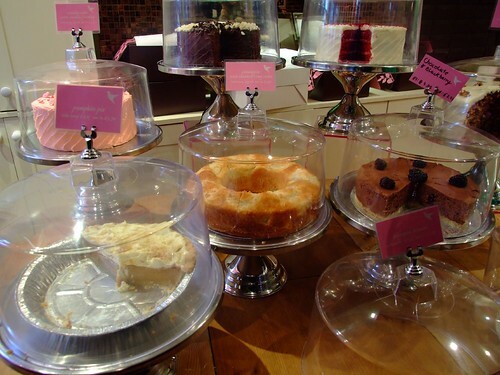 I thought I would share a few photos of cupcakes I had in London and in my next post I will share some I had in New York City when I was there in September from perhaps their most famous bakery! 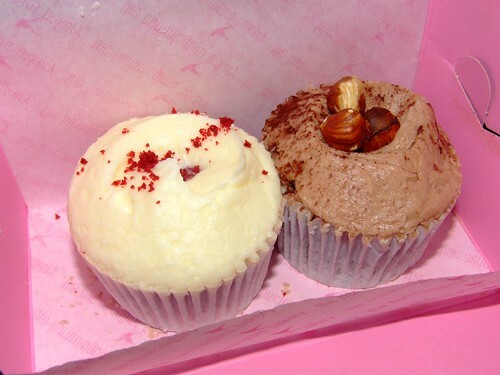 The cupcake on the left is Red Velvet, the topping was delicious but I wasn't too keen on the sponge. Not enough vanilla for me! The Nutella cupcake on the right was good, although I reduce the sugar required in their recipe because I think it overpowers the nutella slightly. I also add some nutella to the frosting recipe. Just a spoonful or two. They also bake brownies, cakes, pies, muffin - you name it! I will have to try some next time I go. 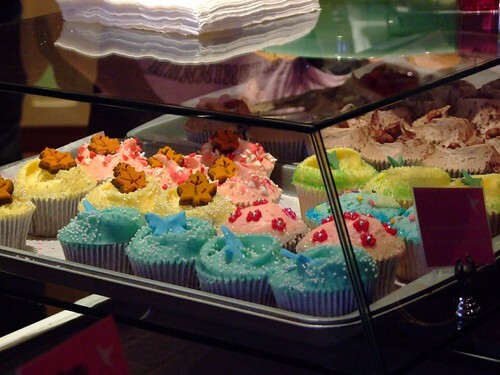 I just get sucked in by the cupcakes and end up spending a fortune on them! The last time I was there I had their chocolate with chocolate frosting, and it was amazing. Such a sugar rush! 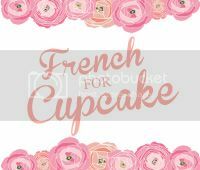 My friend Sarah had this chocolate with vanilla frosting one, she loved it. 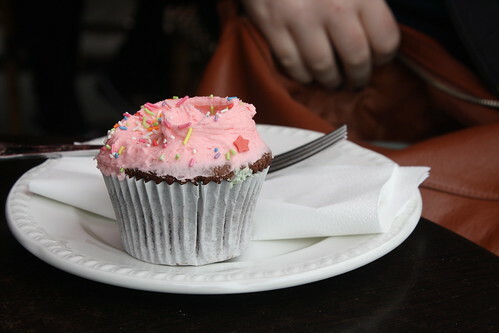 Although she eats all the frosting off first then eats the cupcake which I think is so strange and cute. I have only ever been to the branch in Portobello, luckily there are many cute shops and eateries nearby for you to explore and you could spend a whole day at the market there rummaging for treasure. 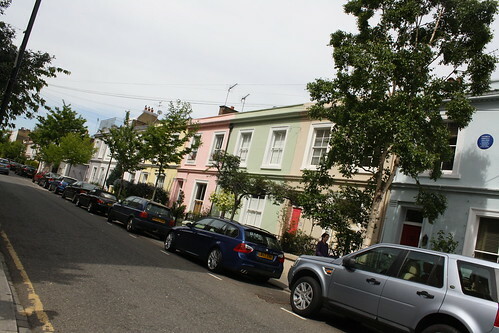 I abosulutely love Portobello, look at all the little houses there in pastel colours, how could you not love them? Me enjoying Portobello in May. Photo credit goes to my dear, talented friend Sarah Kane. 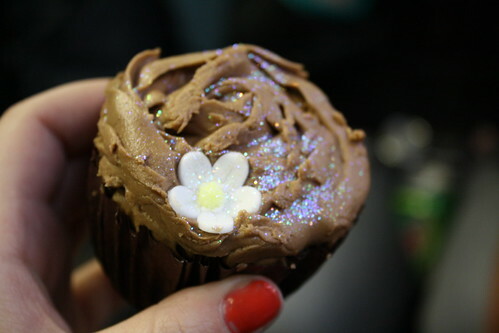 Honourable mention goes to Selfridges, where Sarah and I shared some lovely chocolate cupcakes. The woman working there gave us one for free as well! If you're only in London for the day and can't choose between Harrods or Selfridges definitely go to Selfridges. Harrods was so stressful for me but we spent ages enjoying all the knick knacks and yummy food in Selfridges on Oxford Street. And to go with this Hummingbird themed post here's a recipe from their cookbook (which I highly recommend, and incidentally, purchased from Selfridges) that I baked back in September for a birthday party. Put the eggs and sugar in a large bowl and beat with a handheld electric whisk until light and fluffy. Add the flour and cocoa powder and beat until all the ingredients are well mixed. Pour in the melted butter and mix through. Stir the walnuts and chocolate in by hand until evenly dispersed. Spoon the mixture into the prepared baking tray and bake in the preheated oven for about 30-35 minutes, or until the top is firm but the centre is still soft. Leave to cool completely. 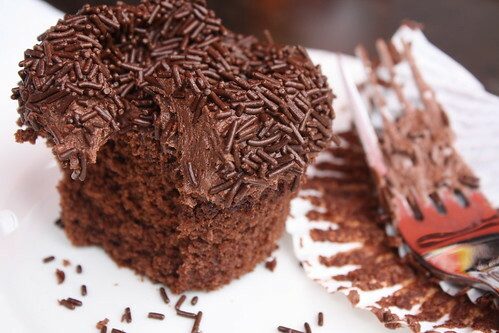 For the frosting, beat together the icing sugar, butter and cocoa powder in a freestanding electric mixer with a paddle attachment (or use a handheld electric whisk) on medium-slow speed until the mixture comes together and is well mixed. Add the cream cheese in one go and beat until it is completely incorporated. Turn the mixer up to medium-high speed. Continue beating until the frosting is light and fluffy - at least 5 minutes. Do not overbeat, as it can quickly become runny. 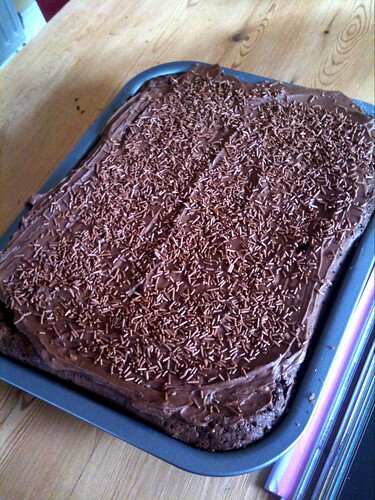 When the brownie is cold, spread the frosting over the top. Tee hee hee. I love that part about my cupcake eating....eh, skills? quirks? I'm telling you - it's THEE way to eat cupcakes! 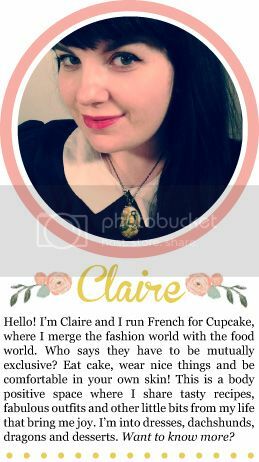 This blog is great Claireness. I need to feature it on my blog. Bloggityblogblog. Really though, I do love it and it needs pimpin'.